The Library Foundation’s mission is to support, enhance, and promote the LFPL’s programs and services. The Foundation and LFPL work closely together to determine priorities and how the Foundation’s support can have the most impact on our community. The Library Foundation has played a pivotal role in all of the Master Facilities Plan projects. The Foundation supported capital campaigns for both the Southwest Regional Library (opened 2014) and South Central Regional Library (opened July 2017). Now, the Foundation is committed to raising $3.8 million for the Northeast Regional Library to complement $14 million from Metro government and the state. 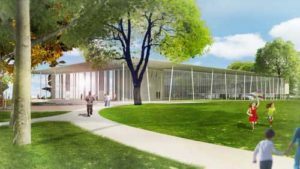 Click here to learn more about the Campaign for the Northeast Regional Library, breaking ground Sept. 21, 2017. The Children’s Literacy Fund is a Library Foundation initiative to support key programs offered by LFPL in need of financial support, including the Summer Reading Program, 1000 Books Before Kindergarten Challenge, and more. 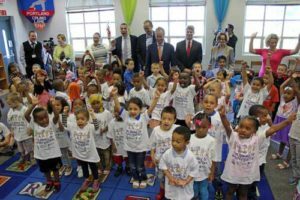 Programs made possible by the Children’s Literacy Fund served nearly 75,000 children last year. 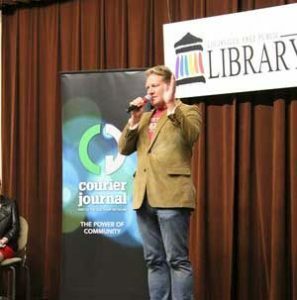 The LFPL offers a range of adult programs supported by the Foundation, including the How-To Festival, Craig Buthod Author Series, and Get Literary Louisville. SEAN WARWICK, LFPL EMPLOYEE AND SCHOLARSHIP RECIPIENT. 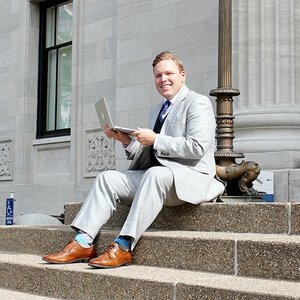 The Library Foundation provides financial assistance to Louisville Free Public Library employees who wish to pursue a master’s degree in library science. The Foundation established the Scholarship Program in 1999 to help educate future LFPL librarians to meet the community’s ongoing need for quality service and information. Since 1999, the Library Foundation has sponsored 76 LFPL employees in their pursuit of their master’s degrees in library science, awarding nearly $865,000 in scholarship funds. The Librarian Scholarship program is a Foundation endowed fund.